Greetings fellow guitar freaks, Darrin Goodman here with another mini guitar lesson for you. Today I am going to be talking about guitar tab songs and the different styles you may encounter. There are many different formats available for tabs, but today I’m going to be talking about two of the most popular styles of tabs. Text tabs are the most ready available because they do not require any special software to create or view them. They can be created with the “Word Pad” program that came with your computer. 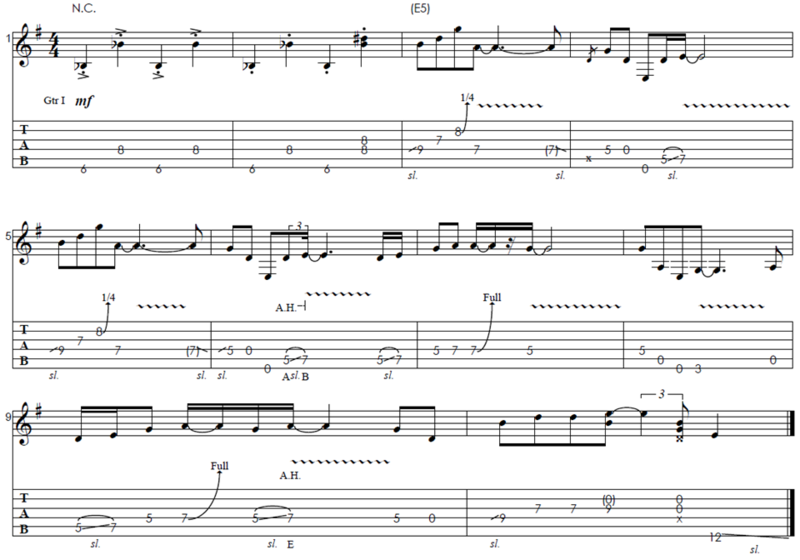 Here is an example of a song using this style of guitar tabs. The problem with this style is that it does not indicate with the timing and note duration is. So if you do not know what the song is supposed to sound like it can be difficult to get the correct timing. Power Tab Editor is a program that you can use to create and view tabs with the “.PTE” file extension. This program allows you to view the guitar tabs and the manuscript together so that you can see what the timing and note duration should be. There are other programs that work in the same way such as “Guitar Pro”. Power Tab Editor is actually a free program that can be downloaded online. Here is an example of the same “Purple Haze intro” in Power Tab format. So as you can see there are two sections. The top section is the manuscript with the musical notation and the bottom section is the tab. Each tab number has a note that lines up with it that tells you the value and duration such as; quarter note, half note, whole note, etc… The tab itself is also clearer and easier to understand. This is the better way to do guitar tabs in my opinion. I hope you enjoyed this lesson and learned something from it.